Perhaps you’ve left a career that no longer fulfills you and you want to live with purpose, passion and be soul directed rather than just doing and being what you’ve always been doing and being. You want to make a difference in the lives of others who need your expertise, inspiration and wisdom. Maybe you’ve just left the corporate world, closed a business or finally completed a divorce and you are re-evaluating your life, yourself and what you want to do next. The need to know is overwhelming and you are beating yourself up because nothing feels right… anymore. “What the heck!!!! ” you may say. Being in transition and starting over can be as terrifying as it is exciting and exhilarating. In 2002, when my mother passed away, I vowed to begin living my life from my heart space, to do only those things that brought me joy and to make happiness my main priority. At that point, I had already built a successful corporate career in product development but was miserable. My mother’s words continue to ring true for me as she never stopped reminding me that the only thing she desired for me was my happiness. Needless to say, losing my mother to cancer was gut wrenching and changed everything I believed in. Everything. I was no longer willing to remain miserable for the sake of making money. Don’t get me wrong, I am a big believer in abundance, financially and spiritually alike. And doing what you love, what your heart is calling you to do is your path to abundance on all levels. Moving from a left brain dominate career into a heart centered, right brain entrepreneurial career did not come without it’s challenges. The biggest challenge was listening to my heart rather than my head. There was a huge paradigm shift within my entire being and I didn’t expect it to be so confusing. Your life purpose can often be illogical to your intellect. Before your soul came into your physical body, you had made plans and promises about what you were to express here in your human experience. The power of your free will is able to go against what those contracts were, simply by choice. You have chosen this life you are experiencing and have experienced. Therefore, you have the will and the choice to say “No” to your life purpose. But you know that little flame inside you that you can feel everyday in the pit of your stomach that resonates “I am supposed to be doing something amazing with my life and I’m going nuts not doing it” ? 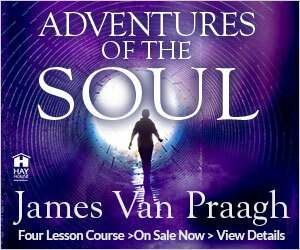 That energetic vibration of anticipation and fear at the same time that makes you feel… off. Deep down you know what your purpose is and if you’ve been avoiding it because you don’t feel good enough or it just doesn’t make sense to your logical, left brain mind, than it’s time to make a change. You have choices and it is up to you to make the choice to transform your “No” into “Yes” and to not be afraid of your purpose. It is time for you to choose something different. Your intellect creates chatter. That chatter is all the voices of other people, subconscious embedded beliefs, someone elses code to live by and your ability to shutdown your intuition in favor of the usual chatter that is not yours. When you allow your being to be in silence, you can re-learn how to go within, connect to your higher self, divine self, spirit and soul self and begin again to live through your intuition and connection to your true essence. One can never be happy if you are living by someone elses code and beliefs. Choose Your Transformation – Accept you are on a growth journey and you are growing and willing to allow your spiritual connection and guidance to unfold and strengthen. Treat yourself with “best friend” compassion throughout your life’s journey to awakening. Choose to Believe in Your Higher Guidance – Open up your heart space by unblocking your energy. Believe in yourself, know you are worthy of positive change and let go of the chatter that holds your back from your divine flow of energy, creativity and truth. 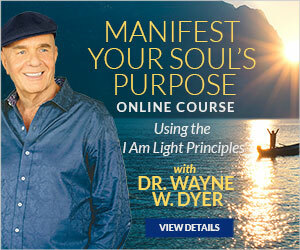 I’m a big believer in online courses that can help you grow and evolve throughout your purpose driven life. That is why I enjoy offering you resources to online courses I can recommend. You may also want to check out online courses I recommend.